“More people are taking transit in Metro Vancouver than ever before. This data shows that when we invest in public transit, ridership rises. I’m so glad we were able to add this new service at a time when demand is surging. We are ready to build upon the success we’re seeing with the rollout of Phase Two of the Vision and keep this momentum alive,” says Kevin Desmond, TransLink CEO. While we’re thrilled to see the trend continue upwards, we’re not overly surprised as 2017 was a record year for ridership in our region with over 407 million boardings. For you numbers folks, that’s a 5.7 per cent year over year growth in the number of boardings on our system. 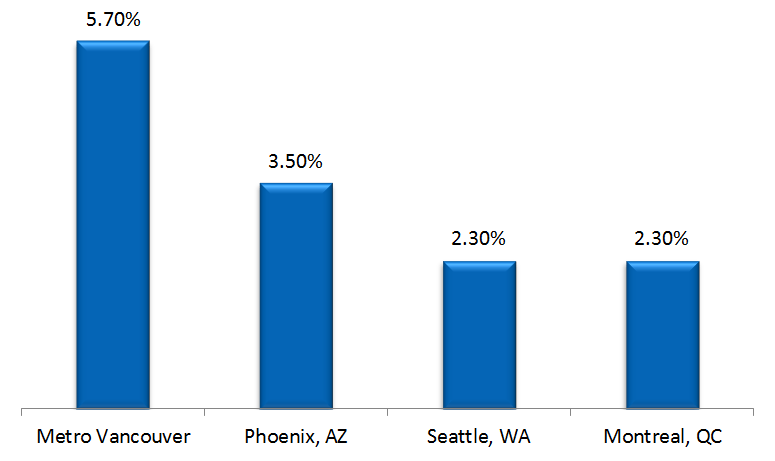 That’s more than two per cent higher than the next closest city, Phoenix! It is believed that Metro Vancouverites are choosing transit over other modes of travel for a number of reasons including economic growth in the region, high gas prices and the addition of the Millennium Line’s Evergreen Extension. “It’s encouraging to see people in my city and around the region taking advantage of this new level of transit service available as the 10-Year Vision continues to roll out. Our region is hungry for more transit connections and capacity. The execution of Phase Two of the Vision and the improvements it will bring can keep this trend going,” says Derek Corrigan, Mayor of the City of Burnaby. And this is just the start! 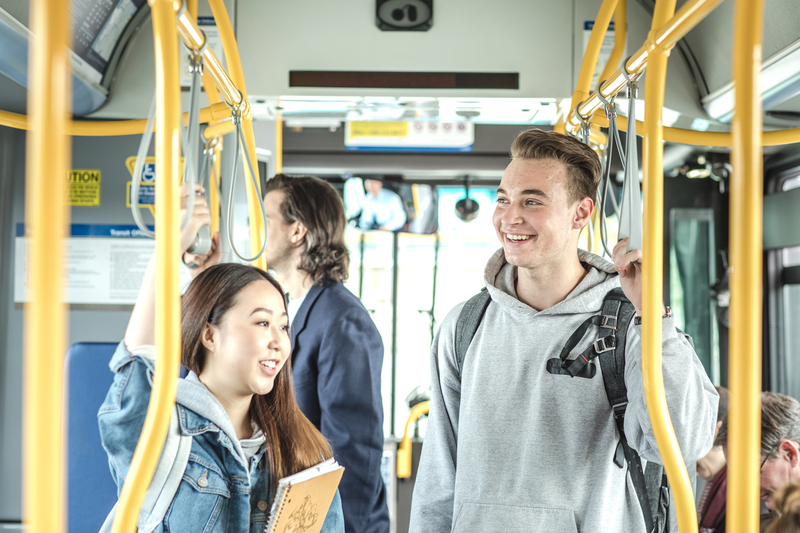 Customers can look forward to even more new service in the years to come thanks to other Phase One improvements including the accelerated delivery of 80 new SkyTrain and Canada Line cars beginning late this year, the addition of four new B-Line routes in 2019 and delivery of a new SeaBus in early 2019. Construction of the Millennium Line Broadway Extension and Surrey–Newton–Guildford light rail project as part of Phase Two will put public transit within reach of thousands more as the Metro Vancouver region continues to grow. Oh Sarah, of course you have to rub it in who the best is…. TransLink. Maybe now the lamestream media will finally start CHEERING TransLink and help TransLink win some social media polls! Maybe now we can have friendly, respectful competition & frankly good sport between North Vancouver and Tigard between transits to seek the best outcomes for all! Where’s the 2017 Transit Service Performance Review? If it comes out the same time as in previous years, it’s a couple months off yet. Easy to do when gas prices are higher than giraffe arse.